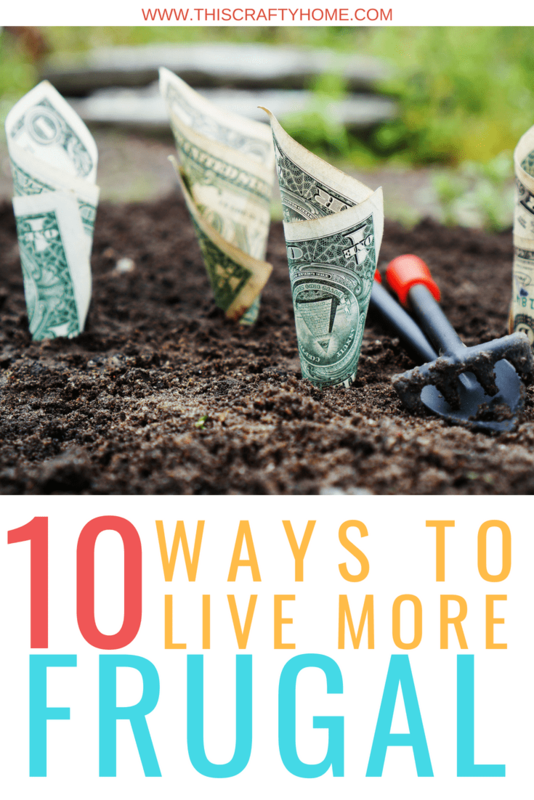 We have lived frugally for as long as my husband and I have been together. There, of course, have been times in our 8-year relationship where we lived less frugally than others, but the majority of the time we watch what we spend closely. 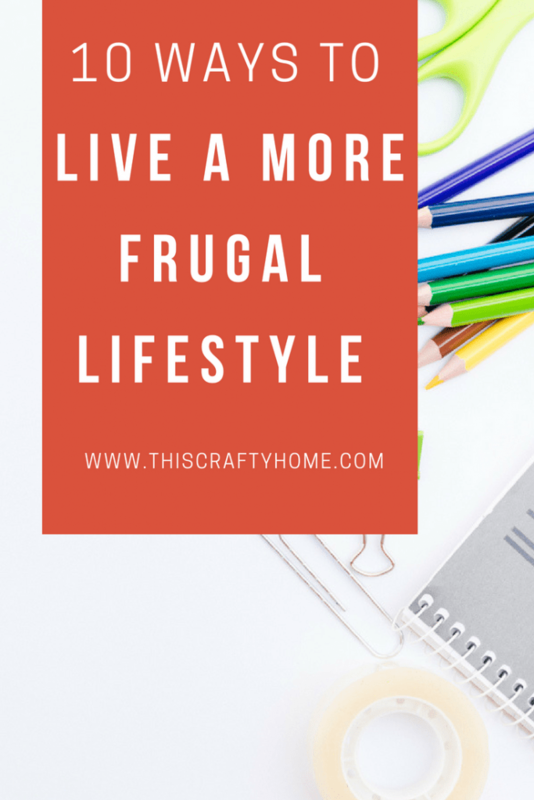 In my opinion, while frugal living is a lifestyle, it is more of a state of mind than anything. You are always on the lookout for a more cost-efficient way to do things. 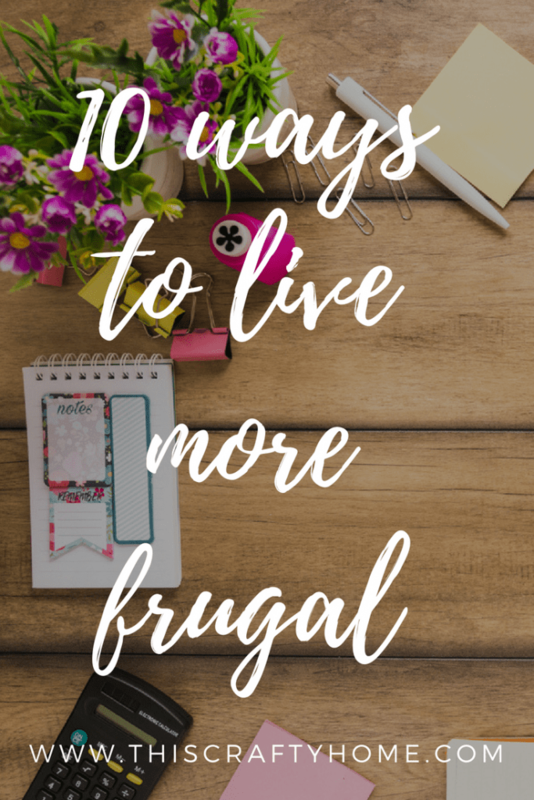 The following list is full of small and big things that you can do to start living more frugally right now. 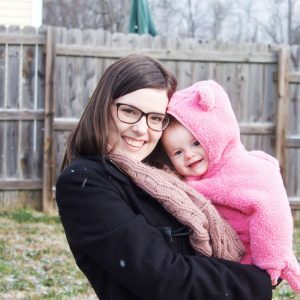 There may be affiliate links in this post, they do not cost you anything but they do help keep This Crafty Home up and running! The easiest way to start being a little more frugal is to know what you are spending and where it is going. This does not mean you have to make a budget that you are miserable with. Just having the knowledge of where and when you are spending your money will make you more aware of areas you can easily cut down in. 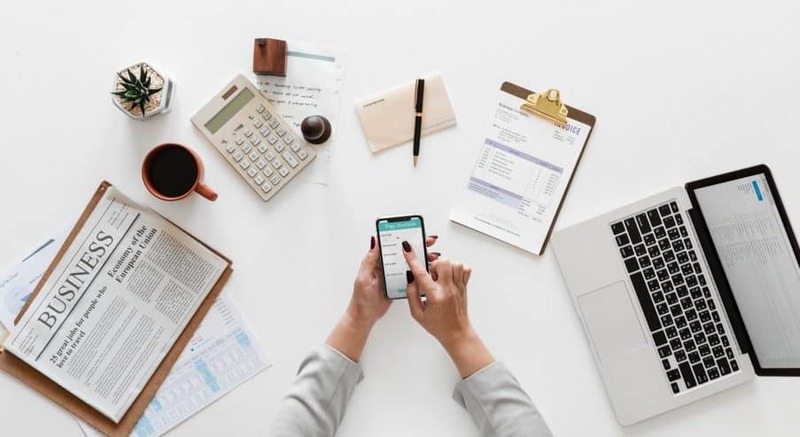 Check out my post here on how to make a budget. This is something we did in our first year of working towards being debt free, and I can confidently say it was a great decision. What you should not do here is sell your car and get one that is so cheap it will cost you more each month to repair it. My husband is a little obsessed with electric vehicles at the moment and he had it stuck in his head that after we paid off his Prius C he was going to sell that and buy a Nissan Leaf and make a little money off the deal. I thought he was crazy. Selling a car that we had paid for and was super reliable for one that would also be paid for, but had a range of 60ish miles. Crazy talk! I ended up letting him do it anyways, we were able to make about $1000 on the whole thing and now our gas usage is significantly less. The electricity to run the car is about half the cost of the gas we were previously using. This whole idea was nuts to me, but let me tell you, it worked and got us a whole lot closer to our debt-free goal. I can’t tell you how much this has saved us over the years. Now I will preface this by saying not everything you buy should be used. There is definitely a happy medium that exists. 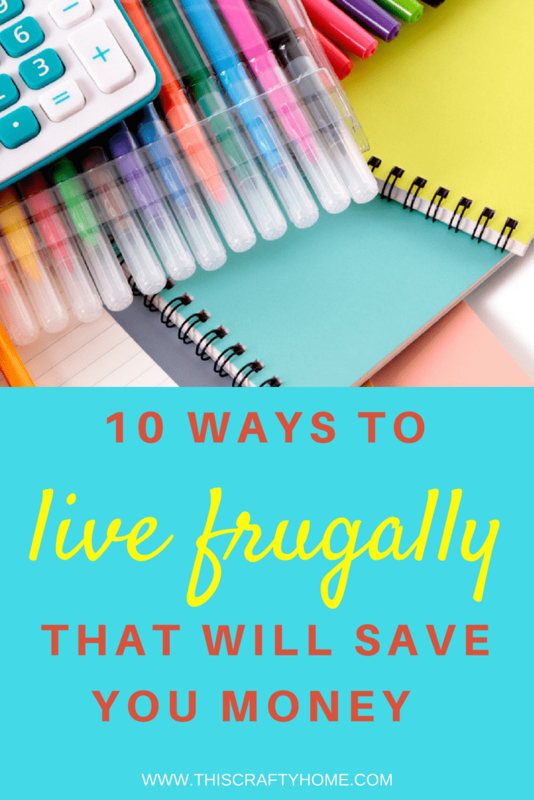 Living frugally does not mean you are always buying something cheaper, it means you are making sound financial decisions that will be cheaper for you overall. For example, I would not buy a super old used laptop that ultimately will break on me next year just because it’s cheap. Make well thought out and researched decisions on buying things used. We’ve had a ton of success buying slightly used phones off the Facebook Marketplace at $400 less than retail with a warranty still! Furniture is another great big buy that is so much cheaper used and you usually aren’t going to be sacrificing on comfort or quality. To start buying more used things I would look around for local thrift stores and find the real diamonds in your community. After that I would search apps or websites, but make sure to factor in shipping costs! Now, this tip won’t work with every expense, but when you need a haircut or your house pressure washed it could definitely come in handy. Everyone has some type of skill that they can use to trade with, even if you can’t think of anything off the top of your head. For the people who really don’t think they have anything, cleaning or mowing the lawn is something almost anyone can do! We always do trades for our family’s haircuts. My husband is handy with computers. He helps our friend out any time her or her husband needs technical help, and she cuts our hair when we need it done. This method of saving money has been used since the dawn of time. Don’t be afraid to ask people if they wouldn’t mind trading for a task of equal value. Inevitably a portion of the food you buy each week at the grocery goes to the trash, or never gets eaten but sits on the shelf. Meal planning is one the most frugal things that you can do for you and your family. Making a simple plan for what you are going to eat and what you need each week will help save you from making big mistakes buying too much or too little from the grocery store. There always seems to be that one month when you have 6 different people in your life with a birthday and don’t get me started on Christmas. Instead of buying expensive gifts, do a quick Pinterest search and create something from the heart for your friend. Chances are your friends and family will appreciate much more than getting another gift card. This is one of the harder things on this list. Getting out of debt is one big way to cut down on your expenses, who wants to pay interest for the rest of their lives? Not me! This one is a bigger one to tackle, but the basic principle we followed was to spend as little as possible each month and then anything else we made went towards a debt payment. This one is a little pricey but will definitely save you money in the long run! We replaced our ten-year-old thermostat with a refurbished Nest Thermostat and each month we can see where it saves us money on utilities. Plus it is super convenient. This is another one of those things that my husband insisted on and I thought he was crazy. I was wrong. Again. I might need to listen to him about solar panels at some point but I am holding out thus far. Did you know that making your own bread costs WAY less than buying it from the store? If your family is like ours, we go through almost two loaves a week. It is a little time consuming to make your own bread, but doing a big batch at once then freezing dough makes it super convenient. What is more delicious than fresh bread? Nothing. That’s right. Check out this super cheap (or free if you have Kindle Unlimited) book that is a beginner’s guide to making bread. Plus it has awesome reviews. This is probably the craziest one on the list, so I’ve saved it for last. 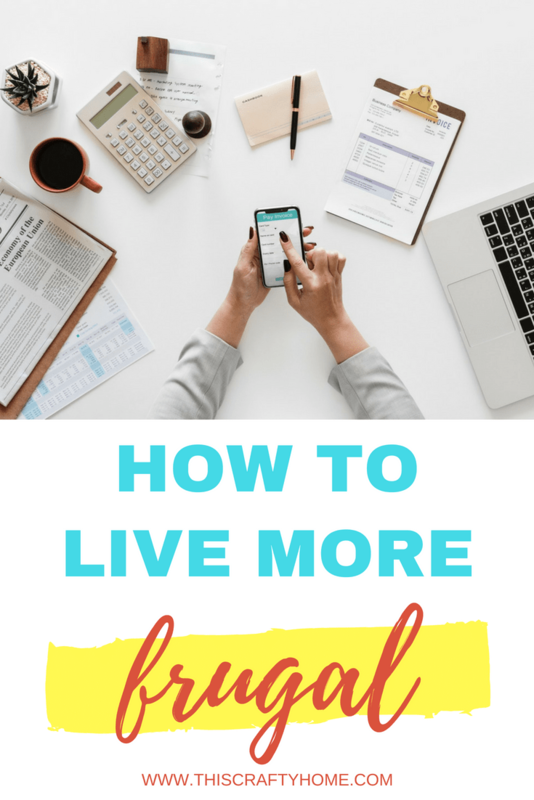 If you really want to commit to the frugal lifestyle, selling your house in favor of a less expensive home is definitely an option. This has been something we have thrown around a few times but haven’t quite gotten the nerve to do just yet. This does not mean you have to get a smaller house, but getting one with a little fixing up to do or one that is just further away from town are good places to start. 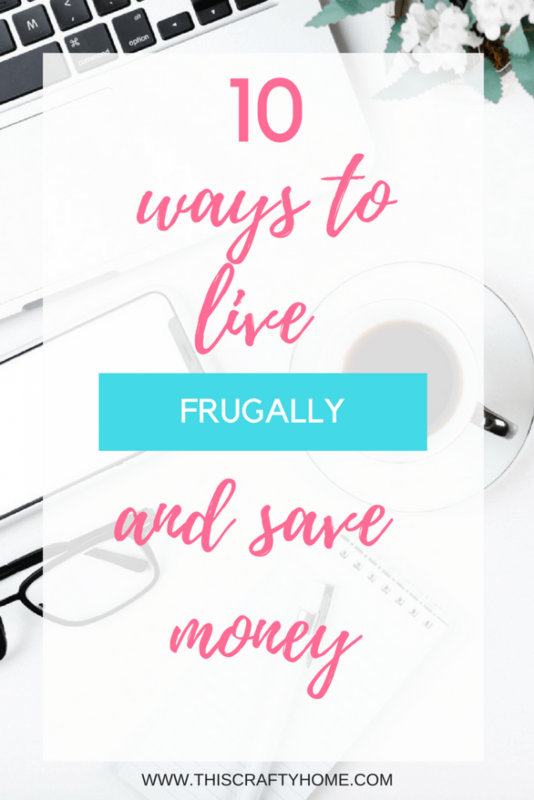 Whether you are diving headfirst into a frugal lifestyle or just dipping your toe in there are tons of ways to get started. Are you ready? Let me know what your favorite or least favorite tip is in the comments below! Loved this post? Share it with your friends!